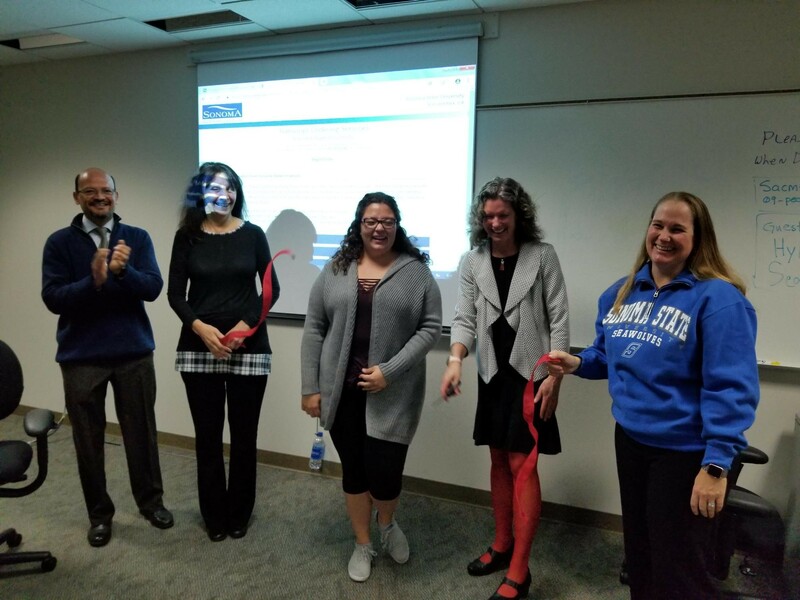 (left to right) AVP for Academic Resources Elias Lopez, University Registrar Lisa Noto, VP of Finance for Associated Students Christina Gamboa, Provost Lisa Vollendorf and Director of Information Systems Jamie Russell unveil the new transcript system. 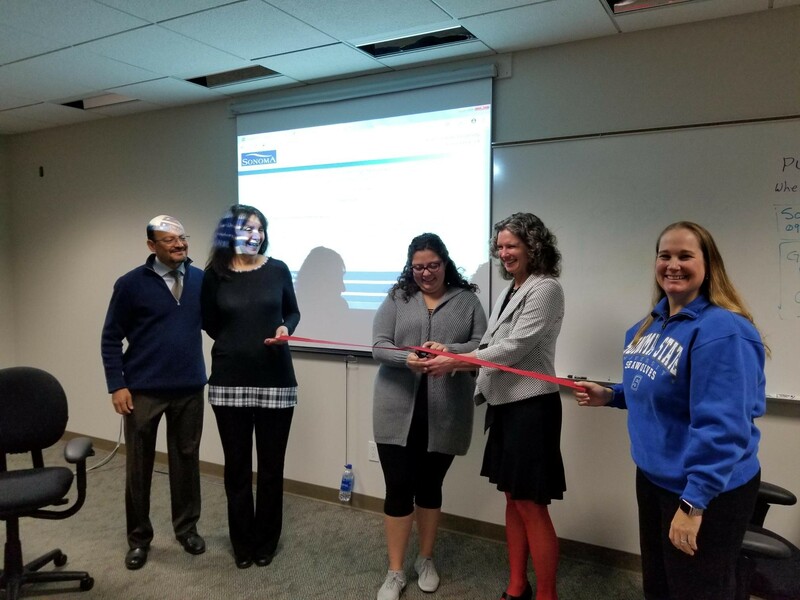 Celebration ensues as Provost Lisa Vollendorf cuts the ribbon to inaugurate SSU's electronic transcript system. 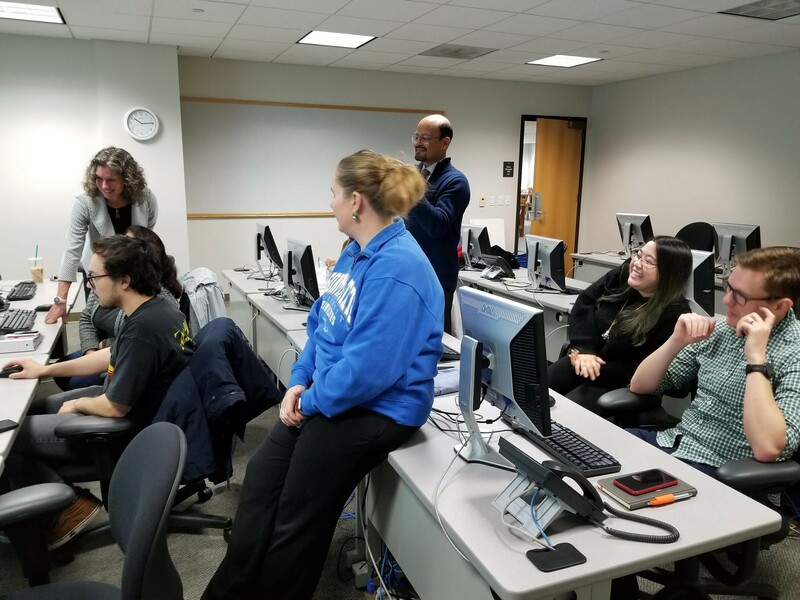 Provost Lisa Vollendorf (far left), AVP for Academic Resources Elias Lopez (standing) and Director of Information Systems Jaime Russell (blue) test the new electronic transcript system by having students and alumni order them online. Director of Information Systems Jamie Russell previews the process of receiving an electronic transcript. Now, thanks to the University’s recently inaugurated electronic transcript system, the process of acquiring a transcript can be done entirely online - in a matter of minutes. 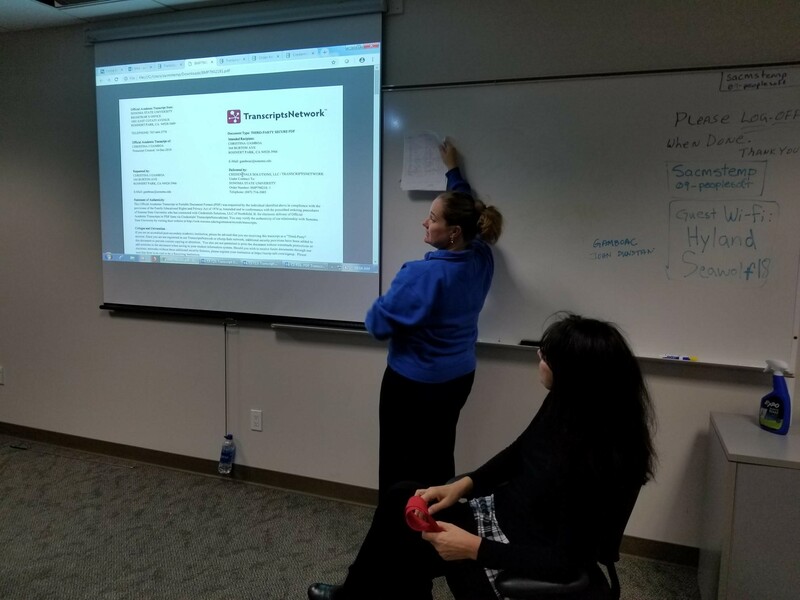 According to SSU Provost Lisa Vollendorf, the system was the product of a working partnership involving Associated Students, Records, IT and other Academic Affairs staff. The system was launched on Friday, Dec. 14 as part of a ribbon-cutting ceremony involving many of the individuals responsible for its creation. Students who need a transcript for purposes such as graduation or applying for a job, or to further their education, can obtain them through electronic delivery within the hour. Through this process, students and alumni will get two official transcripts for free with each one thereafter costing $2.25. For more information, visit Sonoma State’s Records and Registration website. With handmade circuit boards and 3D printers on hand, teachers from Sonoma County gathered to demonstrate their innovative approaches to engaging students through technology at Sonoma State University's Teacher Technology Showcase on Feb. 11.